Unlike “Something Green,” “Any God” is a slow pulse, a gentle arterial throb beckoning for lonely conversations under neon lights on a moonlit downtown boulevard. Then it hits you with beautifully distorted vocal harmonies that feel like tender ripples of rainwater puddles. A small splash of syncopated bass and drums hit, while the guitar gyrates dreamily, a sophisticated instrumentation that never feels stationary and yet is simultaneously hypnotizing. 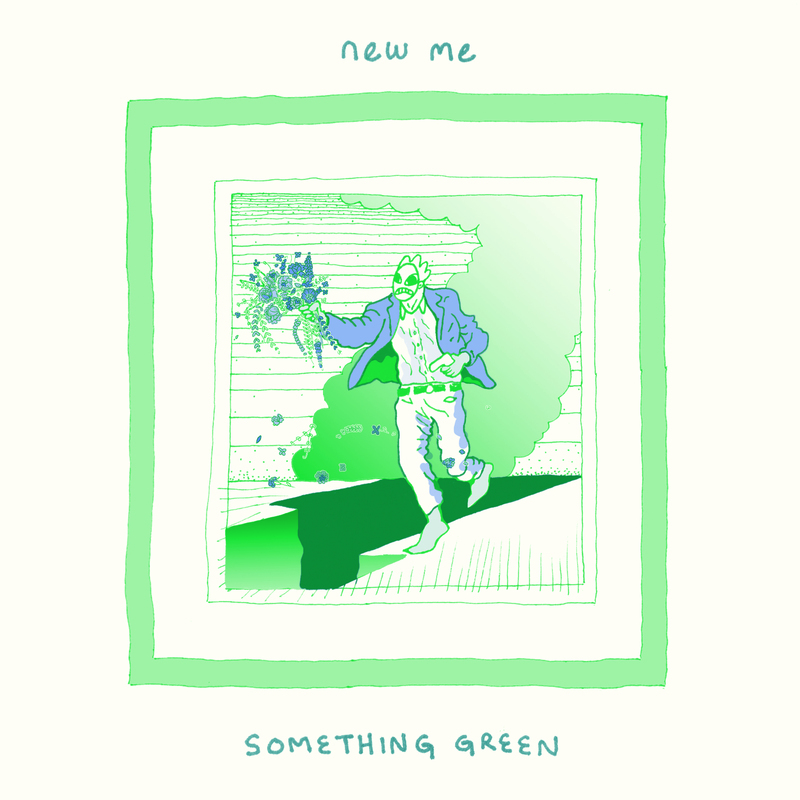 If New Me’s debut singles are anything to go by, we can expect heavenly melodies and songs saturated in sonic color, songs that somehow manage to illustrate an immense talent for dynamic compositions and compelling lyricism. New Me’s music can be found at Bandcamp, Soundcloud, and Facebook.